Edtech: Are We Forgetting The Teachers? The issue of tech-savvy teachers has risen to enormous proportions as technology is revolutionizing the entire socio-economic landscape. The most critical discussion is the future of jobs and the way India should handle the looming change. Interestingly, there is no rulebook to follow as the speed of this tech-transition is unprecedented in the history of mankind and none of the countries in the world are geared up for this. It also emerges that the transition can be most effectively handled by the youth who are more willing to learn, unlearn and take risks to move ahead. We need instructors who are able to teach the kids to experiment, to handle Big Data, process mechanical information, work with machines and still retain the human instincts. This is even more relevant for India as it has a huge untrained cohort of the young population. 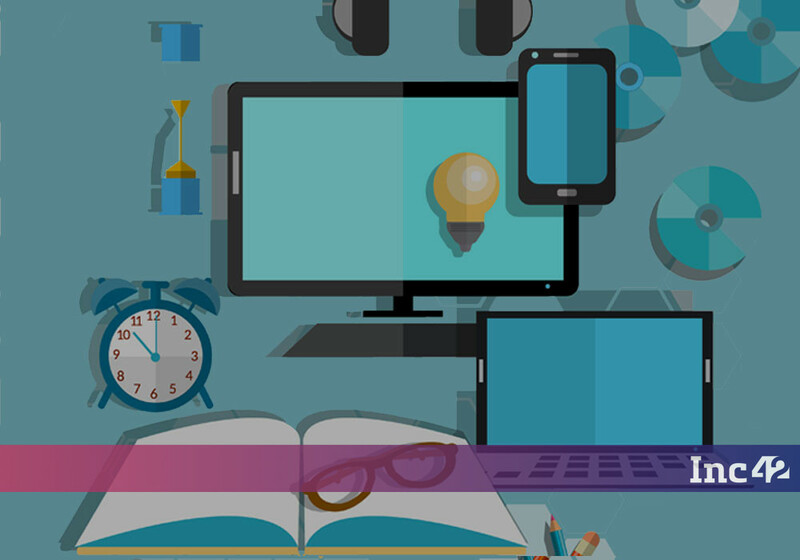 The edtech market currently aims mostly at the students, helping them with visual content, taking mock tests, mobile and video-based learnings and even peer learning. A very important part of the teaching ecosystem, the teacher, has been ignored. In comparison to a robot or an algorithm, the teachers still remain the best judge of the capabilities of a student and technology needs to balance these two aspects. India is already reeling under a huge teacher shortage. According to a 2015 UNESCO Institute of Statistics report, India needs close to 370K new teachers to meet its demand for primary education. About 3 Mn recruitments will be required for the same by 2030. The situation in higher education is even more striking, with 30-50% vacancies in tier I and tier II higher education institutions. A three-pronged strategy of enabling efficiency in delivery, better lesson planning, ensuring accountability and streamlined assessments by involving teachers. The advancement of IT needs to revolutionize the classrooms through systemic integration and enable teachers rather than threaten to replace them. Efficiency in addressing a larger number of students: The edtech community needs to manifest its focus in making teachers more comfortable with technological innovations so that less number of teachers can handle a greater number of students easily. As there is a 1 million teacher shortage in India and a cohort of students in a classroom consist of different IQs, technology needs to help the teachers inefficient management and engagement of children. Better lesson planning: Future ready teachers can only be created if they can impart basic course in lesser time with better retention value for the students. Additional time can be used to encourage students for creative thinking and extracurricular activities. In India, an average of only 17 percent of teachers has access to tablets, within that the proportion of government school teachers is negligible. In a survey conducted by Central Square Foundation, more than 75% of teachers said that pressure to complete textbooks was a deterrent from using technology; increased availability of curriculum-aligned resources will enable them to use technology more. Streamline assessments: Teachers need faster and efficient evaluation tool not only for semester exams but also to enable peer learning and measuring continuous development of students. This shall enable better learning outcomes. The Annual Status of Education Report (ASER) conducted by Pratham shows that every second Class 5 student in rural India can’t read the text of a class three levels below. The new global conversation about the future of public education revolves around competing forces of personalisation and standardisation. More technology intervention will lead to core standardisation of courses across countries, national and state boards. The advent of MOOCs and global certifications enterprises point towards this trend. This will not only encompass the course material, but also the evaluation technique and language of instruction. Edtech will definitely be a great enabler to solve India’s teacher challenges and also a tool to maintain the quality of learning if we can get the teachers to operate along the realms of technology development and foster an integrated, holistic understanding of the future of education. At the same time, edtech is enabling personalization of learning by the better harnessing of individual potential. According to a report by KPMG, the size of India’s e-learning market was $247 Mn, comprising 1.6 Mn users in 2016. The market size is likely to grow eight-fold to $1.96 Bn and the user base shall grow six times to 9.6 Mn users by 2021. Education and the way we use technology to augment it will be a defining activity that will determine how we reap our demographic dividend. Rana Kapoor is the Managing Director & CEO of YES BANK and Chairman, YES Global Institute. As a career Banker for over 37 years and a professional entrepreneur, since 2003 he is progressively establishing a high quality, state-of-the-art private Indian Bank with a vision of ‘Building India’s Finest Quality Large Bank by 2020’.